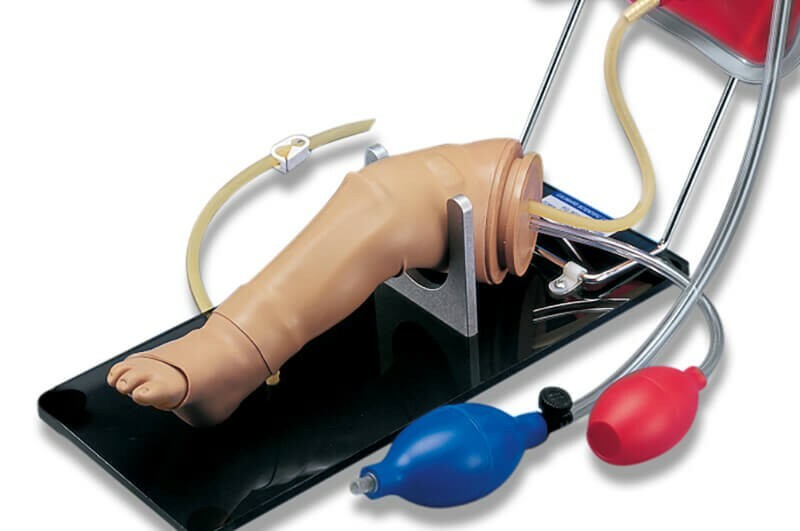 The Mike® and Michelle® Intraosseous leg simulates that of an average one (1) year-old child. The leg is attached to a half section of a lower torso. A replaceable tibial bone lies under a smooth outer skin, and is molded with anatomic landmarks for teaching intraosseous access and infusion. A femoral vein/ artery pair and an intramuscular injection site are included. The Susie® and Simon® intraosseous leg simulates that of a newborn. A replaceable tibial bone lies under a smooth outer skin. It includes anatomic landmarks for teaching intraosseous access and infusion. 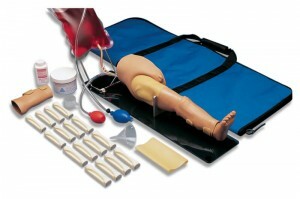 A femoral vein/artery pair and an intramuscular injection site are included.